A exclusive 29 lot sub division in the riverside suburb of Salters Point. The development was designed with minimum disruption to the natural contours of the land. With varying elevations across the site, retaining walls separating residential lots were required. 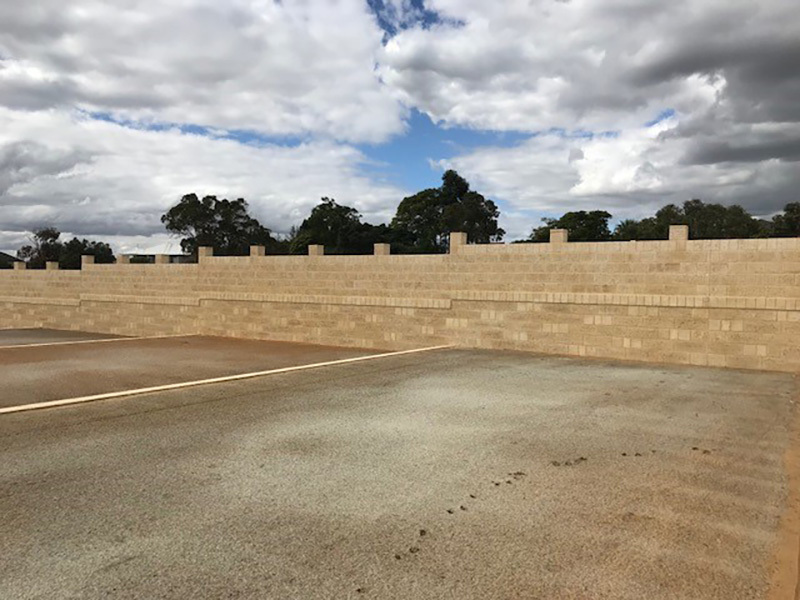 To ensure the exclusivity of the site and the value of the land, the design of the retaining walls had to compliment development. The quality of construction required building materials of the highest calibre. 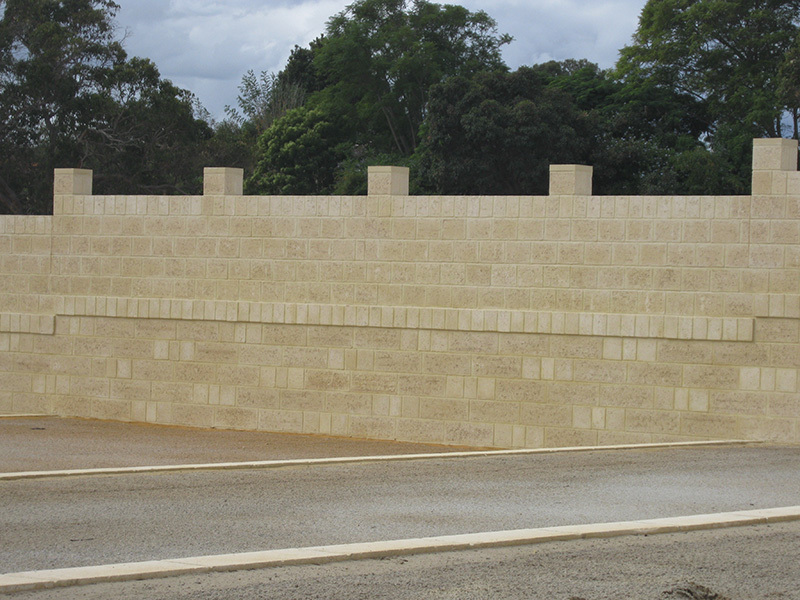 Stoneridge Quarries were requested to supply Limestone reconstituted blocks of varying sizes to meet the design specification. 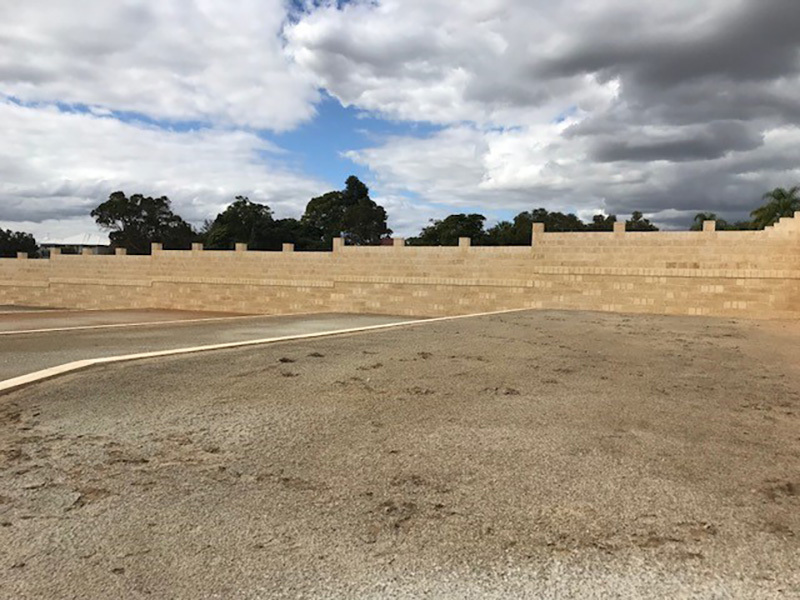 The top course of the plinth wall was specially cut from a standard block to meet the design specification. Corbelling style was implemented three courses down from the top of the street front retaining walls. Stringent quality control meant that no wall stone or blocks with noticeable imperfections were used in construction of the walls. Stoneridge Quarries working with its partners to deliver another quality development!